Should Tanaza support TRENDnet devices? Let us know! Recently, one of our partners has mentioned us the TRENDnet access points and has requested us, whether we can make their wireless devices supported by Tanaza. We like the idea of consumer-driven development and we continuously collect ideas for new features and compatible devices through our community success.tanaza.com. This means that if you want TRENDnet products to be made compatible with Tanaza, you just have to click on the links below and vote for devices. Our product team will review requests and will put devices on our roadmap if we receive many. Well, let’s see what these devices do and how Tanaza’s firmware could improve their performances and management. TRENDnet has a wide range of products, including routers, access points, adapters, extenders/repeaters, modems, switches, Power over Ethernet devices, Powerline communication devices, wired, USB, surveillance products. In the networking hardware category, they have both wireless n devices (which include the well-known n300 TRENDnet router) and the high-speed (wireless ac) equipment. The most powerful device in their portfolio is the TEW-829DRU ($263 on Amazon.com as of today), a tri-band access point with an excellent set of features and advanced settings, which, unfortunately, do not include any wireless controller feature or cloud management capability. The price tag is quite high, but that access point makes for a robust home network. For businesses willing to install their devices on ceilings and use PoE to power them, TRENDnet markets the TEW-821DAP2KAC, a good option for businesses in need of a very simple captive portal and guest access functionality, managing up to 128 devices. Ideally, the kit might be used in offices to connect local devices and wireless-capable laptops through password-encrypted SSIDs. This kit is a contender of the Ubiquiti UniFi family with the Ubiquiti UniFi Controller, but the UI is definitely less user-friendly and the price tag is higher ($349.99 on Amazon.com as of today for the kit including 2 wireless APs and PoE injectors). We have seen the most powerful indoor devices and the best offering of TRENDnet for small and medium businesses. Let’s see know how making devices compatible with Tanaza improves their performances and adds new functionalities to them, and the list of products that Tanaza might make compatible in the future. 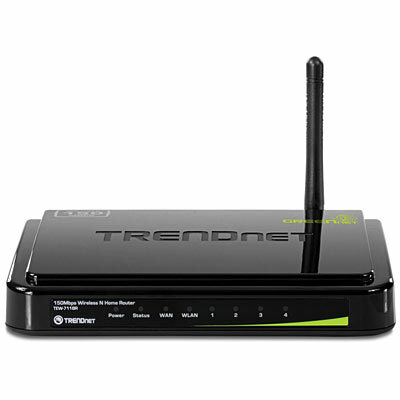 After one of our partners requested us to support these devices, we read a lot of web reviews about TRENDnet’s routers. However, our analysis was not 100% complete, so in case you have any specific questions about their products we encourage you to directly contact them at their support phone number, which is: +1-866-845-3673. Or just consult their website https://www.trendnet.com/. What we have discovered, is that TRENDnet has an excellent set of features, quite extensive although not available on all devices. These features include parental controls, isolating guest networks from your devices and content, pre-encrypted WiFi ready-to-use out of the box, maps to locate access points within a location, guest networks (one SSID per each band), bandwidth management, system logs, diagnostic tools. Cloud management for all devices, without hardware controllers. Cloud management in available also for devices that normally cannot be managed in a centralized way, or need a hardware controller. With an unlimited number of APs per network and in total (per account). Possibility to create hybrid networks made of devices of various brands and product families: for example, you can extend your TRENDnet networks with Ubiquiti devices, and still manage all of them from a single centralized dashboard. Compatibility with the latest products available but also (if requested) with discontinued and end-of-life products, which is a much-requested feature in the case the end user doesn’t want to change their wireless equipment for budget constraints. reliable and highly-available infrastructure managed by Tanaza, with no need to check for firmware updates or to maintain the network, because you will be informed about future firmware releases from the cloud and you can upgrade your devices remotely (also in bunches). Managing all settings from the cloud, including VLANs, NAT, DHCP, TX power, channel selection and other radio settings, SSIDs, captive portal appearance, the password for WiFi access and so on – with settings applied in seconds remotely. Hotspot roaming function and auto-login function for returning users. 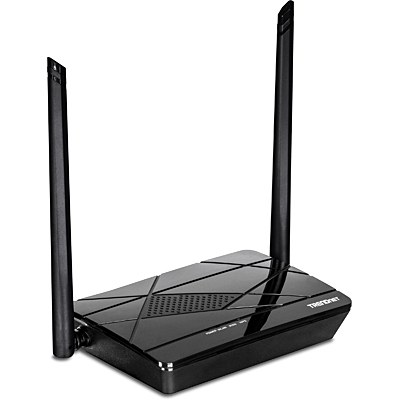 TRENDnet’s N300 WiFi Router, model TEW-731BR, offers up to 300 Mbps wireless N networking to share files, play games, and surf the internet. Control access to the internet and manage bandwidth for devices connected to the router. TRENDnet’s AC750 Wireless Travel Router, model TEW- 817DTR, is a powerful travel router for on the go professionals. Concurrent high-performance WiFi AC and N bands network all wireless devices. The compact router plugs directly into an outlet and interchangeable North America, Euro, and UK power prongs work on all continents. TRENDnet’s AC3000 Tri-Band Wireless Gigabit Dual-WAN VPN SMB Router, model TEW-829DRU, features three concurrent WiFi bands to maximize device networking speeds: two separate high-performance WiFi 5 networks (5GHz1: 1733Mbps / 5GHz2: 867Mbps), and a 400Mbps Wireless N network. Dual-WAN ports smooth network loading, minimize network downtime and allow employees to access your network from the Internet—all with a single router. 2 x Gigabit WAN ports, 8 x Gigabit LAN ports, 1 x USB 3.0 port, 1 x Console port. Sturdy metal housing with rack mount brackets included. TRENDnet’s AC2600 MU-MIMO WiFi Router, model TEW-827DRU, is built to perform in your busy connected home. This dual-band router generates two quad-stream WiFi networks—a 1,733Mbps WiFi AC and a concurrent 800Mbps WiFi N network. MU-MIMO technology processes multiple data streams simultaneously, improving real-time wireless performance when multiple devices are connected to the network. 4 External high gain antennas maximize coverage on the wireless router. We have a great partner program which you might want to discover more about here. Unlimited demos, no minimum quarterly purchases, great discounts (up to 50%) for partners, and premium support always included.